The mortgage foreclosure crisis has affected communities across the nation, but it’s hardly been colorblind. According to a new study from the Center for Responsible Lending, the crisis has disproportionately affected people of color, especially black and Latino homeowners. Maybe these discrepancies are just about differences in class? Nope. Even when adjusted for income, communities of color are hit especially hard. Among recent borrowers, the study estimates that nearly 8% of both African-Americans and Latinos lost their homes to foreclosures, compared to 4.5% of non-Hispanic whites. As of 2006, out of all homeowners, fully 17% of Latino homeowners and 11% of African-American homeowners have lost or are at imminent risk of losing their homes, compared to 7% of non-Hispanic white homeowners. And it gets worse. The CRL study confirms that the foreclosure crisis is not just limited to individual homeowners, but instead threatens entire communities — a trend that’s expected to exacerbate current income and equity gaps between whites and ethnic minorities. 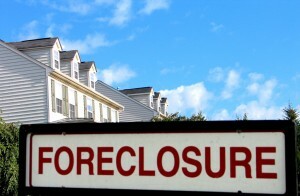 Neighborhood concentrations of foreclosures are tremendously harmful to any community’s social and economic health, and in turn damaging to entire cities and states. What explains the disproportionate burden minorities are facing? It comes down to predatory lending, or the practice of issuing loans to borrowers on expensive terms. In the recent past, such mortgage lending was used to infuse capital into whole neighborhoods — mostly minority neighborhoods — with disastrous consequences. If we’re going to reverse the hemorrhaging of minority home ownership, the federal government has to commit itself to preventing predatory lending — simply bailing out banks that engaged in these practices for years isn’t enough.